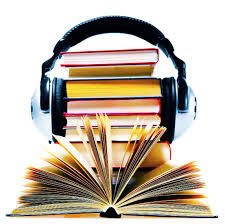 The rapid growth of Audio Books has generated an abundance of opportunities for actors to showcase their skills and work as audio book narrators. Whether you are new to audio books or already on your way, this informative discussion will help you navigate the ins and outs of audio books and help you understand the latest trends in the industry. We have assembled a panel of experts from Audible Studios/ACX, Deyan Audio, Outloud Audio and more to provide a comprehensive overview of what it takes to maximize your opportunities and find success in Audio Books. To watch by live stream you DO NOT have to log into our website. Email questions to LiveStream@sagfoundation.org or tweet to #SAGF. You are receiving this email because you opted in at our website, www.sagfoundation.org. Unsubscribe mail@shellenlubin.com from this list. With the Artios Awards in November, the SAG Foundation's LifeRaft program celebrates the hard working television casting directors whose projects have been nominated. The goal of this panel is to provide a treasure trove of well-earned advice for actors from superstar industry professionals, as well as stories and anecdotes from the shows that were nominated. The SAG Foundation's Liferaft program, in partnership with the Los Angeles Stage Alliance, is thrilled to present the final panel in its three-part series populated by industry professionals who work both in film, television and theater. In this panel, actors will discuss their work in all three mediums.